I forgot about posting a Sunday Morning Music yesterday. Maybe I was too focused on the church potluck. Anyway, today is a holiday so the day feels Sabbath-like around home. 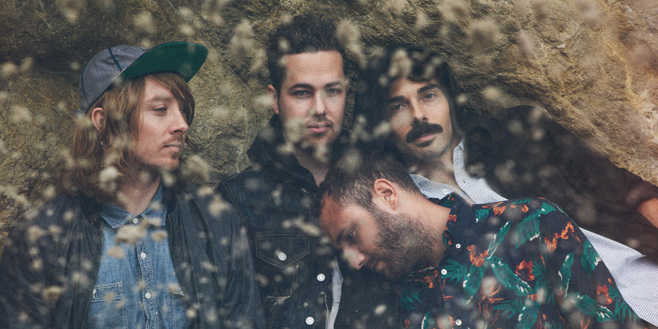 Here is some music from Local Natives, a great band from Los Angeles. They’re on the same record label as The Antlers, another favourite of mine. My younger brother Justin introduced me to Local Natives a couple of weeks ago. I think they’re a great example of how to round out the sound of a song tastefully, without crowding out the solid songwriting beneath. Local Natives have two lead vocalists who sound great together, and their drummer’s tom-heavy rhythms are inventive, really pulling listeners in. Here are “Breakers” and “You and I” — two tracks from their new album, Hummingbird, released less than a month ago. For these videos, filmed by Pitchfork, the band performed outside on a chilly morning. The vocal performances are spot-on.